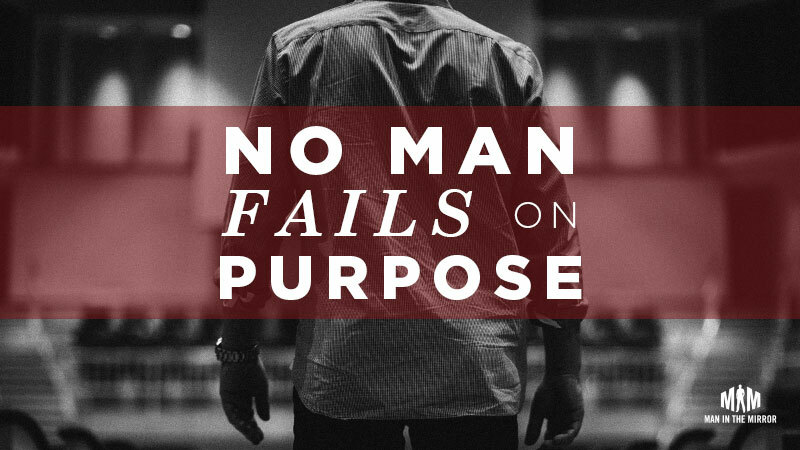 “No man fails on purpose.” I’ve heard Patrick Morley often share this truth many times and it’s always resonated with me—for both its simplicity and its depth. The pain contained in its layers has been known by many wives, daughters, sisters, and mothers. But another victim—”patient zero,” if you will, in this epidemic of disappointment—is the man himself, who had big dreams and good goals and a longing to leave a legacy. I am one of those daughters, and my dad was one of those men. My childhood was a whirlwind of fort-building, birthday parties, art projects, softball games, and music, and my dad stood at the center of it all. The woman I am today is a direct result of that whirlwind. I grew up to be confident because of my parents’ endless encouragement. I grew up to be strong-willed because of the freedom they gave me to have my own opinions and desires. Friendly because my dad modeled it daily to strangers. And able to love because I never doubted I was loved. And it wasn’t just the assurance I was unconditionally loved by them, but that I was unconditionally loved by God. When I look back, I don’t remember ever not knowing about Jesus. I vividly recall the car rides on Sunday mornings to the church on the lake downtown. We’d listen to Casey Kasem’s Top 40 with the windows down—the breeze causing my hair to dance around my face. I would wonder excitedly what the kids’ lesson was going to be in “big church,” after which we’d run off to children’s church, quarters clutched in our hands that my parents had given us for the offering. There, we’d play and learn and end the morning with cookies and red punch—a close second to salvation in my five-year-old mind. Then we’d meet back up with my parents, my dad often in his suit jacket, smelling like the aftershave I loved. My favorite church memories are the Christmas Eve and Christmas services, when we’d all dress up and my dad would hold me on his lap so I could see over the grownups’ heads to watch the bell ringers. Then he’d hold my candle for me during Silent Night so that the hot wax wouldn’t drip on my fingers. But among the memories, I have no recollection of ever seeing my dad with a friend at church. Not once. No recollection of saying goodbye to him as he left for a men’s small group. No recollection of running into the store with him so he could pick up hot dog buns for a cookout. No recollection of pulling on his suit jacket to stop talking so we could go to lunch. No recollection of him praying with another man during a difficult time, like when he struggled through the death of his father, taking long walks at night by himself. And when he stopped coming with us to church, I have no recollection of anyone asking why or where he was or if he was coming back. Eventually, my dad did find the community that he’d been missing—at first on volleyball and softball teams. With his teammates, he shared laughs and a sense of purpose and camaraderie. And we would go to his games when we could and cheer him on. Then his health began to change with age, making it tougher to play sports, and so instead, he found community in the bar of the restaurant next door to his work. For the next two decades, that journey would result in alcohol slowly stripping him of everything that mattered—everything except for the tired love of his family, who knew instinctively, bitterly, achingly: no man fails on purpose. This is the part where I’d love to insert an inspirational redemption story for you. A late-in-the-game comeback that leaves us all cheering wildly on our feet. But that isn’t how this one ends. My parents divorced, he took early retirement, his health deteriorated, and he lost his battle with addiction because he tried to do it alone, without men around him, on his terms. In February of 2017, right after my daughter had fallen asleep, there was a knock on my door. A police officer clumsily told me my dad had been found dead of a heart attack or stroke in his apartment, alone. Family photos and beer cans surrounded him. He was 63 years old. My dad loved me like crazy to the best of his imperfect ability. He didn’t fail on purpose. No, my softball team-coaching, homework-helping, Easter egg-dyeing, bicycle-riding, music-writing father never set out to run his life off the rails. AND THIS ONE IS IMPORTANT—the church didn’t fail on purpose either. But the church did fail. That’s why Man in the Mirror exists to help churches disciple every man—every hurting men, every man on the fringe, every man still searching, every exhausted leader. Because this weekend, in churches across your community and mine, men are going to show up for the last time. They are going to sit among hundreds of men without being truly known by one. And they will walk out and away, unseen. They might find the community they crave elsewhere, but it may be at a blackjack table, or in a bar, or a soul-sucking career, or a woman’s arms who isn’t their wife. For me, men’s discipleship isn’t just a way to get the church parking lot pressure-washed, or a line-item at the bottom of the church budget. It’s much more than an excuse to eat pancakes on Saturday twice a year. It is LIFE SAVING. It is dad saving. Sure, no man fails on purpose, but you know what else? No man succeeds by accident either. The Christian man succeeds because he has other men intentionally discipling him and caring enough that when they see their brother playing in speeding traffic, they aren’t too polite to jump up and down and SCREAM at him to get out of the road. Today, by God’s grace, my story and my family’s story is being written differently now because my husband has deep, meaningful relationships with other Christian men. But it could have gone the other way. After a devastating emotional blow in his mid-twenties, my husband isolated himself from his friends and from the church where he’d grown up. He started to turn to other, lesser things in an effort to cope. He often says he doesn’t know if he’d still be walking with Christ today had it not been for a guy friend who wouldn’t let him slip away. This friend spent hours talking with him, praying with him, bringing him to his church, insisting he crash on his couch on tough nights, and showing him grace with no strings attached. Right there, in the midst of the most pain he’d ever known, this friend discipled him. Eventually, my husband got plugged into a church again, where he could grow with other men and learn to lead his future family—our family—well. Now, when I hear him praying with our daughter in her bed at night, sometimes my thoughts travel back to when I was her age—same brown hair; same big, round eyes; same giggles and soft prayers. Before my dad would leave my room, he wouldn’t tuck me in. No, he’d throw the bed sheet up to the ceiling and let it float down slowly, magically like a parachute, delighting me every time. He couldn’t have known then, kissing his daughter goodnight, all that his decisions were going to cost him. No man fails on purpose. May we all stand together and be a part of the movement to help men succeed. On purpose, for His purpose, in Jesus’ name. The BIG IDEA: No man fails on purpose, but no man succeeds by accident either. The Christian man succeeds because he has other men caring enough to intentionally disciple him. In our last post, we discussed how discipleship can affect marriages, families, communities and the world. And now we’ve seen the consequences of not having a plan for men in your church. This is why we’re passionate about intentional men’s discipleship. In the coming weeks, we will be digging further into what intentional discipleship—and even a disciple—looks like. Subscribe below so that you don’t miss any new posts. ← Going Upstream ← What is a Disciple?